Here is the third update of 2014, in this update with 61 auto repair manuals we included the last manuals that remained to be repaired. From now on, all repository workshop manuals should be downloaded correctly. These are the new ones Workshop manuals and repair of vehicles who have gained or repaired since the last update. Images with information automatic gearbox Opel Vectra in English. Exploded International 2.5 turbo engine in Portuguese. Installs in different models such as the Chevrolet Blazer. Technical Specification Alfa Romeo Twin Spark 145. It is written in English. Workshop Manual Ford Galaxy car engine V8 302. This manual is written in Portuguese. Wiring Diagram for Ford Focus car manufactured in the year 2000. It is written in Spanish. User Manual and owner of Renault Clio I (1992-1998) manual. Workshop manual, service and repair motorcycle Aprilia Shiver SL 750. It is written in Spanish. Manual self-empowerment 797B Caterpillar truck. It is written in Spanish. Owner and user manual for Peugeot 3008. It is written in Spanish. Workshop Manual Ford small block engine. It is written in English. Exploded view and parts catalog motorcycle Yamaha Fazer 250. This manual was written in Portuguese 2007. Workshop manual, repair manual cutting and Motorbike Kymco Grand Dink 125 and 150. The schematic is in Italian, the other in Spanish. Excellent workshop manual for repair and disassembly Ford Focus manufactured in years and 2000 2001. This manual is written in Spanish. Workshop Manual antitheft system ACI100 of Peugeot scooters. This workshop manual is written in English. Suspension Set for Ford Expedition and Navigation 2003 cars. This manual is written in English. Cutting or parts catalog motorcycle Yamaha Grand Axis 100 YA100W. This manual is written in Spanish. Workshop manual, service and repair S18D X1 Chery. This workshop manual is written in Spanish. Workshop manual to fix damage to pistons. This workshop manual is written in Spanish. Workshop manual, service and repair 1998 Fiat Coupé. This workshop manual is written in English. Workshop manual, service and repair Kia Picanto car manufactured between 2005 and 2008. This workshop manual is written in Spanish. Manual service repair shop and motorcycle Bajaj Pulsar LS-Rouser 135. This manual is written in Spanish. Workshop manual, service and repair Hincaposte Orteco 230J, 360J, 600J, 800J. This workshop manual is written in Spanish. Workshop manual, service and repair for F9Q Renault engine. This manual is written in Spanish. Workshop manual, service and repair motorcycle Piaggio Beverly 500. This workshop manual is written in Spanish. Workshop manual, service and repair the car Chrysler Caravan. This manual is written in Spanish. Workshop manual and vehicle Toyota Prius 3G year 2010 electrical system. The manual is written in English. Parts catalog and part of the Super Shadow 250 motorbike. The manual is written in English. Electrical workshop manual and repair Opel Astra and Opel kadett of 1991-1996. The manual is written in English. Manual on design and operation of water pumps. Workshop manual, service and repair DTC code P0101. Manual Mechatronics. It is written in Spanish. Workshop Manual and polara dodge gtx. It is written in Spanish. Workshop Manual and Repair Manual BMW E21. The manual is written in English. Workshop Manual Yamaha Motorcycle FZS1000 manufactured during 2001. This manual is written in Spanish. A small workshop manual contains technical information for the Kia Sportage. Wiring diagrams for the engine model Mercedes M2 Business Class. It is written in English. Workshop manual, service and repair of Volkswagen Bora TDI, made 2002. This manual is written in Spanish. Owner and user manual motorcycle Hyosung Comet 250 and R FI FI. This manual is written in Spanish. Very good manual cutting, it's coming out on page hyundai and I think everyone with this magnificent car should have it, no titles, was printed in full PDF. Manual cutting of 160 Ducati, and 200 250. It is a pdf and is a blur. It is written in Spanish. Manual Toyota automobile diagnostic and 1kd 2kd-ftv-ftv. It is written in Spanish. Workshop manual, service and repair Mitsubishi 3000GT. Manual for models manufactured between 1992 and 1996. This manual is written in English. Manual workshop service and repair Suzuki motorcycle GSF600 Bandit. It is written in Spanish. Workshop manual and repair of Komatsu wheel loader for WA450-3. The manual is very comprehensive and is written in English. Workshop manual and repair manual for the Honda CBF-250. User Manual Series BMW 3 E46. It is written in Spanish. 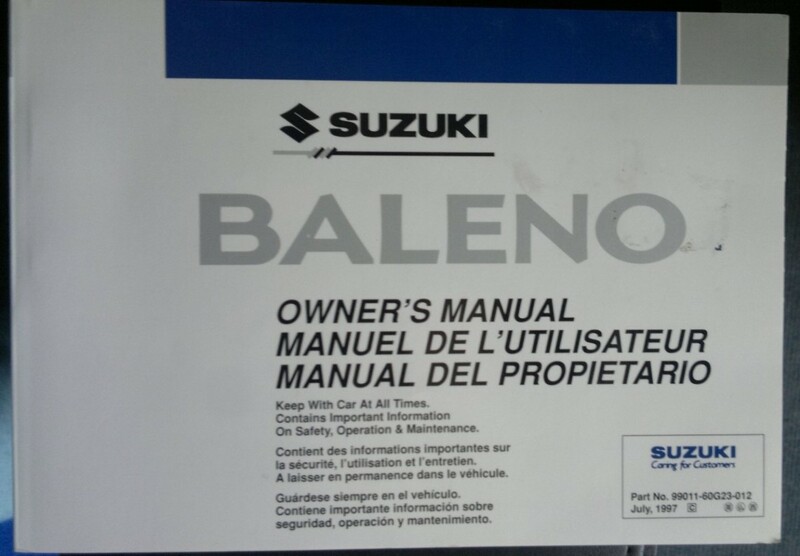 Owner and User-80 Suzuki LJ and LJ-81, multilingual (English, French, Spanish and German) User Manual. Parts catalog and cutting of the bike Yamaha Xmax 2012. This parts catalog is written in Spanish. Owner and user manual Fiat Campagnola. Includes maintenance information and practical advice. It is written in Italian. Workshop Manual Yamaha Vmax 1200 2EN European Model, 100Cv. In Spanish.